Welcome Monster Hunters one and all! Whether you’re a new player to the Monster Hunter series or a player who has played before but feels they need tips and tricks to perfect their game play, this handy guide I’ve complied is sure to help you out in all your hunting endeavors. Please be aware before reading this guide that this is not a weapons guide. Depending on the particular game, the controls and play styles for the weapons in Monster Hunter may vary greatly. This guide is meant to be solely a beginners’ guide for general tips, tricks and handy hunter-know-how to improve one’s game play. Before reading this guide know that Monster Hunter is by no means an “easy/I can learn this game in a day” type of game and that the start of any game may appear confusing, daunting or even downright unplayable to some. From my personal experience I can say that anyone who puts the time and effort to learn how play this game (you need to put a lot of hours into this game if you want to succeed so if you don’t like grinding for gear this may not be a game for you *warning 1*) you will find that once you learn all the basics in this guide and basic weapon controls that this game is by no means impossible to play. I hope that you find this guide to be helpful and hopefully all that you will need to succeed as a hunter/huntress in the world of Monster Hunter! Monster Hunter is a game defined by its name: you are a hunter that hunts monsters, but there’s a lot more to that, of course. As a hunter you collect items and carve off monster parts to create better gear to make hunting easier next time and the for future hunts. If you just play the demos for Monster Hunter, you’re not getting the full Monster Hunter experience. The demo merely allows players to hunt and kill the monsters given to the players but it doesn’t explain the point of the game at all! You must hunt monsters to: (1) obtain parts from said monsters to create better gear and (2) generate income by completing quests to buy the necessary gear and items to continue playing. I will lay out what I personally find to be very efficient, cut/clean hunter tactics for beginning and experienced hunters below. 1: Gathering – Gathering is one of the most fundamental aspects of Monster Hunter and at the beginning you must gather EVERYTHING in sight! No matter what item you may find at the beginning all items gathered are useful to beginning hunters. For example: Dung?! Monster dung is useful and you should keep it when found?? The correct answer is yes, due to the fact that it can be utilized in many ways. When it is combined with a bomb casing, you can create a dung bomb which can be used to repel large monsters from an area or create specialized ammo that weakens monsters’ stamina! Very few items in Monster Hunter are considered “useless,” as even then they can be sold for pocket change to further your hunt. Gathering provides not only basic items for current and future hunts but also a means to create newer and better items through combining (details and example combinations can be found at the bottom of the guide). As a final note on gathering, the more you gather, the more funding you will obtain if you have an excess of monster materials for example which can be sold. Rule number 1 for beginning hunters: gather, gather, GATHER! 2: Hunter funds – Monster Hunter games require that you, the hunter/huntress, gain income by completing missions in the game called quests which can range from gathering a number mushrooms to hunting an elder dragon. The rewards for completing these quests vary greatly. Gathering mushrooms is much easier than hunting a large monster and thus the reward is usually very small in comparison so you can’t get away with just gathering for the entirety of the game. Carving off parts from monsters is considered “gathering” too! Usually you’re given a small amount of funds at the beginning of the game. These are used to start off your quests which have a small fee to initiate them (varies depending on the game,) but if they are successfully completed you will receive the quest reward and the fee back in full. Generally you don’t have to worry about funds too much as long as you follow a basic rule, in this case, Rule number 2 for beginning hunters: Set a limit to the amount you will NOT spend not matter what! (Example: I have 300,000 Zenny and I want to purchase a weapon upgrade to improve its damage output which costs 250,000 Zenny. However my “limit” is 100,000 in my pocket that I cannot go below. Complete more quests to obtain an excess of 50,000 Zenny to avoid falling below your limit and thus ending up with 0 Zenny!). Gather in every spot in each area every quest. Hunt large monsters until I have enough parts to create an armor set and weapons from said monster. Craft 1 – 3 armor sets at most per rank up until the last rank where the most funds and the best parts may be obtained to create top tier gear. This is efficient and I do this to avoid excess low rank armors as higher ranking armors usually have better skills and armor defense than low rank gear (Explained in detail further down in the guide). Collect armor and weapons to ensure that in future hunts you as a seasoned hunter will avoid fainting more often with better armor and to more efficiently hunt and capture monsters with better weapons of the hunt. Rule number 3 is to simply follow the cycle: Gather, Hunt, Craft, and Collect. My item pouch is always sorted with HP potions at the top of the list and stamina restoration items below them for ease of access. I do NOT use well-done steaks to restore stamina during a hunt as this makes you an easy target for almost 8 full seconds as your avatar eats and pats their stomach in gusto (followed by a Rathalos fireball hitting him/her directly). Only during the beginning of the game and only outside of the area where a large monster is found do I use steaks to restore stamina. To restore stamina on the hunt and in the same area where I’m hunting a large monster, I use Energy Drinks which only make me a target for a maximum of 4 seconds (half the time it takes a hunter to eat a steak and much easier to make too!). It also has utility in that if the said monster I’m hunting tries to put me to sleep I now have a countermeasure! Combine Honey and a Nitroshroom for 1 Energy Drink or a Sleepyfish and Hot Pepper for the same combo (gather gather GATHER!). 2: Monster Awareness – In the world of Monster Hunter there are many different kinds of monsters and they are all have different forms of movement, attacks and special moves. As a hunter you need to know everything about the monsters in a current generation, from the smallest of neopterons to the largest of elder dragons, if you want to succeed in this game. I mention small monsters as more often than not they can be more of a problem than the actual monster you’re trying to hunt. For instance, the Bnahabra, which is a small bug that can sometimes paralyze you and leave you wide open for a large monster attack that can be followed up by a stun for more damage! This is why learning about monster habits is extremely important as a hunter and this is something that you must learn through eye contact. Watch a monsters movement very carefully for patterns or feints so you know when to attack and when to counterattack to capitalize on monsters’ missed attacks. An experienced group of hunters that know a monster’s move set very well can easily slay or capture it in less than 5 minutes with the proper gear and take relatively no damage if coordinated properly. This is the type of mastery all hunters should strive for and can be achieved if you watch and learn from hunting monsters numerous times. Be aware, however, as hunter rank increases, monsters adapt and become stronger and their attacks become slightly less predictable which throws off beginner hunters very easily (more on ranks below). 3: Efficient Armor and Weapon Crafting – As you start to gather more and more monster parts and funds, you may notice that some armors have certain defense values above the general armor defense value at the bottom of a set (which shows the elemental weaknesses or strengths of the armor based on the numerical value on each piece). At first you might think it’s better to combine certain pieces of armor with another monster armor to improve or nullify a certain elemental weakness if you’re thinking in terms of pure defense. This is a mistake, however, as the overall elemental defense of an army: (1) depends on the total value the complete armor set gives, and (2) this will hinder your ability to obtain quality skills that will greatly assist you in future hunts. The most efficient path early on is to complete an entire armor set based on one monster (that is to say crafting a Blademaster Rathalos Helm, Rathalos Mail, Rathalos Vambraces, Rathalos Coil, and Rathalos Greaves) to obtain optimal elemental defense values based on the monsters defenses and a good set of skills also based on the monster hunted. Some say the best way to hunt a monster is to wear the armor set created from said monster, though this may not always be the case depending on elemental weaknesses mostly. As far as weapons go, it all depends on your personal play style as a hunter/huntress which is to say if you wish to use dual blades the entire game and feel comfortable collecting all of them then master the weapon controls and craft them when possible (so long as you remember your spending limit!). Note: It’s best to craft an armor that suits a weapons style. For example, building an armor set with the skill Focus is good for weapons with charge up moves and gauges that need to be filled faster to perform certain actions. 1: Ranks – At first all hunters start off in Low Rank or “Village” quest rank and are given basic starting gear and funds as well as short tutorials leading into the plot of the particular game. Low Rank holds quests for beginner hunters and as such the monsters are the weakest in this rank but the least numerous and the rewards are far less than their higher rank counterparts. The gear obtained in Low Rank is useful for village quests and for transitioning into High Rank, which can be achieved by completing certain Guild Quests referred to as “Urgent Quests”. Unlike armor, weapons forged in Low Rank transition rapidly into High Rank but do require higher level monster parts to forge or upgrade (unless the weapon can only be forged it is much better to upgrade weapons since its cheaper and costs less monster parts to create e.g. also less rare monster parts!) and because of this hunters should be encouraged to advance in rank once they obtain a sufficient amount of weapons and armor due to the fact that High Rank gear and G Rank gear are far superior in nearly all aspects to the Low Rank gear. It is not always present in every Monster Hunter game but after High Rank, should a hunter complete a “G Rank Urgent Quest,” they advance to the highest rank called “G Rank” which offers the highest rewards, top tier armor, weapons and skills but boasts the strongest of monsters and elder dragons. 2: Recommendations – For all beginning hunters who continue to practice and grind monsters for parts and rare materials, I recommend that you follow the above instructions as best as possible. For those that know all the above tips and recommendations, there is another aspect of monster hunter that needs to be addressed: dodging. As with games such as Dark Souls and Bloodborne, there is a dodge mechanic in the Monster Hunter series. If this dodge is performed and the correct time at just the right moment, a hunter can avoid all damage through a frame of invincibility. This is not a cheat or a hack in the game. It is an actual in-game mechanic for experienced hunters that if performed in succession or with proper skills, can increase this window of invulnerability, can complete quests without taking any damage. I do not recommend new hunters trying this out as it will interfere with the above tactics that should be mastered before attempting this mechanic. When a hunter’s weapon is sheathed there is another dodge known as the “Superman Dive” that gives the hunter a few seconds of invulnerability as long as it is being performed away from the monster (the hunter must be running and facing in a direction away from the monster to perform the dive.). This is the safest method to avoid damage, though the time to get back up can leave a hunter open to another attack if done in quick succession. We hope this guide will help you get started. We know it’s a lot to take in! But the Monster Hunter community is always ready to help out new players, so don’t be afraid to ask! Hey Pokemon Trainers! We know you’re all playing Pokemon GO and if you aren’t… well, what are you waiting for?? SPLI is hosting a Pokemon GO meetup on Sunday 7/24 and we wanted to share some tips to help everyone who wants to be the very best, like no one ever was!! There have been a lot of strategies going around, and we are working on making a comprehensive guide for Long Islanders. Since the game is so new, this is a work in progress currently. But until that is complete… here’s some tips we’re working on! First of all, you’re going to need a smartphone (and a fully charged battery) and the app! Get that before heading outside – it’s hot out there! Pro Tip: Bring your 3DS with you too! It’s very likely that Pokemon GO players will StreetPass you as well. Bring an external battery pack (or two). Pokémon Go has been said to use a lot of battery life, but with a good external battery you should be able to keep playing all day. Set your phone to use as little battery as possible. Lower your screen brightness, mute the volume, and disable background apps. Turn off bluetooth and wi-fi. If your phone has a built in power saving mode, test it with Pokémon Go before you get to the park — some people have found that it can interfere with the app. Turn on the game’s built in power saving mode. When in the game, click the Pokéball, click Settings, then check the box next to “Battery Saver.” This will dim the screen on your phone whenever it is upside down (in your pocket). Wear plenty of sunscreen. Nobody will be impressed with your skills as a trainer if you come home from the meetup event looking like Crawdaunt or a Corphish. Visit every Pokéstop you see. You get 50XP for every PokéStop you visit, even if you don’t pick up any items. Don’t waste time at PokéStops. After you spin the sign you don’t have to click all of the bubbles to claim your loot — just click the (X) at the bottom to collect the items. Look for floating leaves. That’s where you can find the closest Pokémon. Keep an eye on the tracker. It’s in the lower right corner of your app. It tells you how close nearby Pokémon are. Each footprint is approximately 100 meters. Showering petals at a Pokéstop means that someone has activated a Lure! Head over to benefit from their generosity. Conversely, activate a Lure of your own at a Pokéstop and you’ll be surprised at how many friends you make. Use good Poké-targeting skills. The last thing you want to do when you’re far away from home is waste valuable Pokéball. Always until the green, yellow or red target circle is at its smallest before you throw. Don’t go into unauthorized areas. Under no circumstances should you go into any areas that aren’t clearly open to the public. Don’t hop fences, don’t crawl past any barriers. It’s a matter of safety! Be aware of your surroundings! Always keep one eye on the path ahead of you. If something seems unsafe, don’t go there! Keep your head up. While it can be tempting to walk around staring at the screen, this hinders your ability to see where you’re going and staying aware of your surroundings. If you are walking around, keep your phone at your side or in your pocket, and listen to the game with headphones so you don’t pass any Pokémon. Stand still while battling or catching Pokémon! It’s worth stopping and focusing on the game when you are in a battle or trying to catch a rare Pokémon. Don’t do it on the move. Stop and focus so you don’t walk into an unsafe situation by accident! Under 18? Bring a parent. There are a lot of safety concerns popping up in the news, and SPLI is not a babysitting service. We want everyone to be safe but we cannot be held responsible for the safety of any individual. If you are under 18 and you want to participate in one of SPLI’s Pokemon GO meetups, please bring a parent or guardian with you. If you don’t want to wait to get started on the hunt, here is a map that shows many Pokestop locations! Whoa! Got any more tips? See a tip that is inaccurate? Please let us know in a comment! Amiibo Only Tournament at LI Retro Gaming EXPO! If you haven’t purchased a ticket yet, stop delaying! This summer’s hottest retro gaming event is coming to Hauppauge, NY on August 13th and SPLI is going to be there hosting an Amiibo Only Tournament! Visit the official website of the Long Island Retro Gaming Expo to buy tickets, learn more about the event and see a list of vendors that will be participating. This event is amazing for retro gamers and collectors alike, with a show floor filled with retro games to purchase, as well as various retro gaming tournaments to show that you still have the skills after all these years! Of course, SPLI is a little more about current gen gaming, so be sure to bring your Nintendo 3DS and an Amiibo to the event too! We’re going back to basics with our Amiibo Only Tournament, since we have a really cool GRAND PRIZE to give to the winner! The 1st place winner will receive a trophy and a Legend of Zelda lithograph! Entrants must stay in the tournament area while their Amiibo fights in the tournament. If an entrant is not present for their matchup, they will be disqualified. SPLI is not responsible for lost or mixed up Amiibo figures. We will have an official start time soon, so stay tuned for more details! To be sure that you don’t miss any important information, please RSVP to our event page for the expo! Just for fun, here’s a little video made by a local production company with some fun ‘man on the street’ interviews from last year’s Long Island Retro Gaming Expo! What You Missed: The StreetPass Game Show! Last Saturday, 6/11 was the debut of the StreetPass Game Show, hosted by SPLI at Eternal Con! We were so excited to try out the new ‘Family Feud’ format on the crowd, and there were a lot of laughs! Panel Room 1 was filled to capacity – with people standing in the back! – at 2pm when it was time for the game show to start! We brought in a custom game board (made by SPLI’s own “Mario Maker Mario” Sean S.) to show off the top answers to our Nintendo survey questions. Using a random number generator, we picked our contestants from the audience and pitted Mario against Wario in a New York City vs. Long Island contest! Princess Peach hosted the game show, and Mario Maker Mario was the game show judge. The game was a close one at the beginning, with teams going win for win. But as the questions got tougher, Team Mario (NYC) was able to steal questions and points from Team Wario (LI) and take the lead. In the end, Team Mario won the speed round and the Grand Prize! We gave away three Amiibo figures and Nintendo accessories to the lucky winners. SPLI wants to thank everyone who participated, from the StreetPass gamers who filled out our survey to the audience members who helped us pick the game categories, as well as the contestants and the SPLI team who brought the show together! The StreetPass Game Show was a big success and we plan to do this panel at future cons. Keep your eyes peeled for more info! The StreetPass Game Show – Saturday at 2pm! It’s finally here! This weekend is Eternal Con, the Long Island Comic Con! As always, SPLI will be in attendance and hosting a panel! This year we are debuting the StreetPass Game Show, which will be at the Cradle of Aviation at 2pm on Saturday, 6/11 in Panel Room 1! Our game show features a Family Feud format, so we hope you’re ready to guess the most popular answers to questions about Nintendo games! We will be selecting some contestants from the audience, so be sure to line up early for a chance to be picked. There is a Grand Prize at stake, so bring your A-game! Not only will we be picking contestants from the audience, but the audience will also be selecting some of the categories of the questions too. We can wait to see which topics you think will stump the contestants! Have any questions about the panel? Please ask away on our StreetPass Game Show event page on Facebook, or comment below! See ya on Saturday! SPLI is not happy to report that the former Co-Founder of SPLI, Jeff Weinstein, has been banned from the group and SPLI events. We wanted to be very open about what happened and to explain our actions to the StreetPass community, as we have nothing to hide and we’re doing what we think is right for the group as a whole. This was not an easy decision. The SPLI Admin Team held a vote on this topic, because we do appreciate everything Jeff has done for the group through the years. However, his recent actions are completely unacceptable, and we have the TOS in place for this reason. We cannot afford to continue giving him special treatment when his actions have been so malicious, and now that he has directly threatened a group activity we have no choice. Group members have approached SPLI Admin Staff several times saying that Jeff’s recent public outbursts make them uncomfortable, and that his presence at meetup events makes them not want to attend. We want group members to know that it is our mission is to ensure that SPLI meetup events are a safe and fun experience for attendees, and that Jeff is NOT welcome to participate in any future SPLI activities at public events. Please rest assured that the Eternal Con staff has been alerted to the open threats made against our upcoming panel, and appropriate action will be taken if needed. Jeff does not have any legal claim to the idea/concept of a “game show,” nor does he have any ownership of the term “StreetPass Game Show.” We are by no means the first group to ever select game show contestants from an audience. His demands are completely ungrounded and out of line. 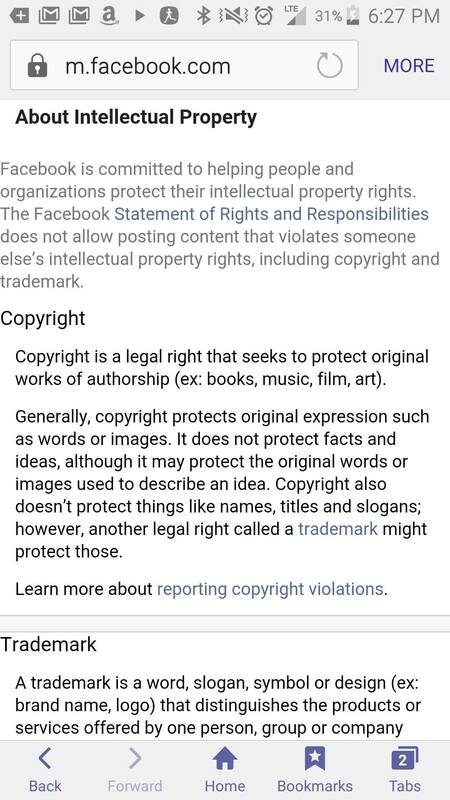 We can only ask that you not get involved with Jeff’s negative and accusatory posts while he attempts to threaten SPLI Admin staff members and the group itself. SPLI does not negotiate with cyber bullies. Please follow our lead in taking the moral high ground regarding this situation. SPLI is super excited to announce that we will be hosting the first ever StreetPass Game Show at Eternal Con 2016! The best part is that YOU can participate!! How? There are two ways. They’re both easy! The first way is to get a ticket for Eternal Con, happening this June 10th – 12th! Some contestants will be randomly selected from the audience! Want an even EASIER way? You can participate in the StreetPass Game Show Survey! Our game show is going to use the “Family Feud” format, so we need to survey the masses to find out the most popular answers to Nintendo-related questions! The survey will be open until early June. TAKE THE STREETPASS GAME SHOW SURVEY NOW! If you aren’t a member of the SPLI Facebook Group, you might be missing out on upcoming event info! We’ve started posting event pages for some awesome meetups happening this summer… and stay tuned, because there may be a few more events that are yet to be announced! May 25 – Amiibo Wars at Lizard Lounge – Once again we will be meeting up at the Lizard Lounge in Bohemia to battle our amiibo figures in an epic Smash Bros. competition! Starts 8pm. June 3 – Night of the Nerds – Our favorite geeky concert series is back at a new location – Katie’s of Smithtown! We hear that this venue will be much better, which means more room to play videogames with SPLI! June 10 thru 12 – Eternal Con – Long Island Comic Con is back and this year they’ve added a Friday evening to the weekend-long convention. There will be celebrity signings, vendors, and big news… SPLI is hosting a StreetPass Game Show! August 13 – Long Island Retro Gaming Expo – Now in their second year, the Long Island Retro Gaming Expo is a great place to find and trade retro video games and of course SPLI will be on hand for some gaming tournaments! The Nintendo community was buzzing yesterday, as the long-awaited mobile app “Miitomo” was launched for iOS and Android. Nintendo fans have been having a blast setting up their Mii characters, making friends, answering questions and collecting outfits. But did you know that the app was released with a very lucrative secret easter egg mission? 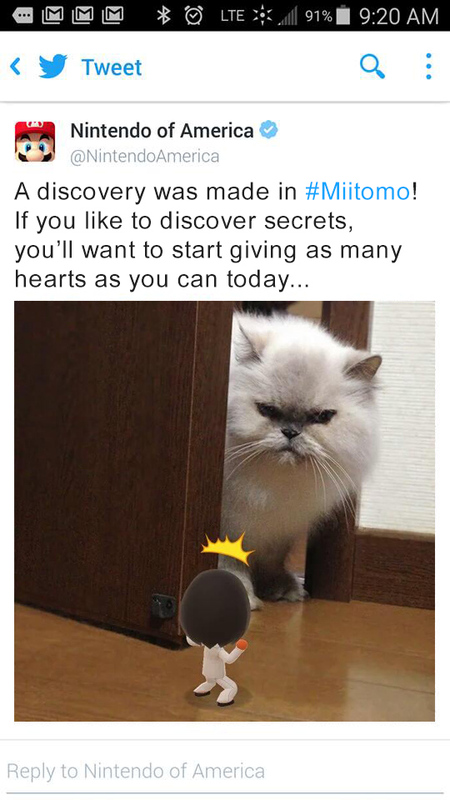 Nintendo of America had posted this Tweet earlier hinting that there was a special secret bonus for those who are extremely active on Miitomo. Rumors have been swirling that Miitomo players who give out 1,000 hearts in a 24 hour period will unlock a special secret mission, and those who complete it will receive 1,000 bonus Platinum coins! How does it work? First, you need the Miitomo app (obviously) and some friends for your Mii character. Then it’s a matter of diligence – you simply have to give 1,000 hearts to your friends’ posts within 24 hours. This is significantly easier if you have a lot of friends, so be sure to start adding all of your buddies! You can even convince your non-3DS owning friends, since you don’t NEED a Nintendo account to get started in Miitomo! Once you have successfully given out 1,000 hearts in Miitomo, you will receive an email from Nintendo with a code to redeem for the Platinum coin reward. If you have a ton of friends, this actually doesn’t take THAT long. SPLI Founder Debbie (aka Glux) was proud to show off that she was able to earn the bonus Platinum coins from this Miitomo secret mission! Do you think you can complete the mission in 24 hours?? Good luck!! Looking for a fun night of gaming, cosplay, music, drinks, comedy and burlesque??? Then join SPLI at Night of the Nerds at the Velvet Lounge in East Setauket on April 8th! At this event, SPLI will be hosting a fun side event – a Triforce Heroes Tournament! Challengers will be formed into teams of three and the team with the best score wins! – This game supports Download Play, so you do not need to own a copy of the game! But you do need to bring your Nintendo 3DS system to the event to participate. – This is a TEAM game, so you will be set up with two more players to play cooperatively on a specific stage. – If you happen to have two friends that you want to team up with, that’s no problem! Just let us know at registration. – Winning team will have the highest score at the end of the stage. The score is a combination of your remaining fairies and how many rupees your team collected on the stage. – Outfit Restriction: Hero’s Tunic ONLY! – Time Limit: Not set, but teams taking an inordinate amount of time may be disqualified. Note: Triforce Heroes Tournament Rules are subject to change. See tournament organizers for full details at the event. Registration will begin at the start of the event, and the Tournament will start at approximately 9:30PM. 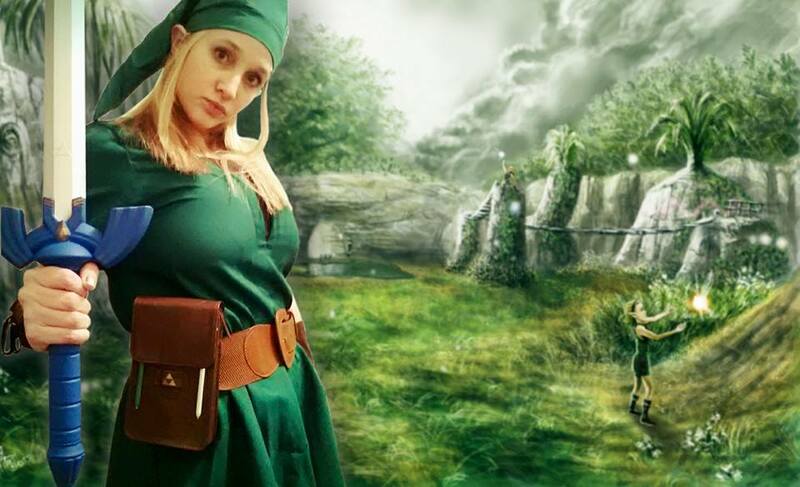 Look for the SPLI tournament organizer Debbie (aka Gluxbox) cosplaying as Link to get registered.